In a difficult, abstemious gesture, today I will not write about Adirondack sea monsters or Perfect Adirondack Days (PADs), or rave about how much fun it is to live in the Adirondacks. Today's blog post is about how fortunate sensible real estate buyers are these days. Fortunate because I have a number of great properties for sale and the lending industry wants your good business. In this economic culture, if you are lucky or smart enough to have money to invest, you can't go wrong with an investment in Adirondack real estate. At the very least, a property investment gives you something to look at and stand on. Something tangible like real estate is less likely to evaporate like the profits of a poorly managed company whose stock you hold. As a matter of fact, I have never seen a piece of land just go away, (remember Lehman Brothers?) except on LOST. I digress. The point is sensible real estate buyers can find a great deal of value in Adirondack real estate right now, which is not always the case. To that point: I have a great listing available in the Village of Lake Placid. The heart of this house is one of the alpine style A-frames built in preparation for the Lake Placid 1980 Winter Olympic Games. 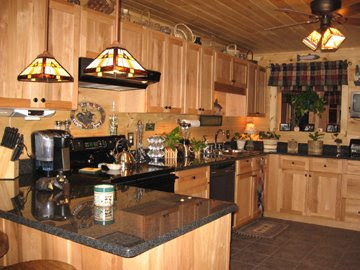 It has been tastefully expanded and renovated in the Adirondack style by a local Adirondack craftsman who builds beautiful homes throughout the area. Because it was originally built to house visitors for the Olympics, it is convenient and centrally located. You can walk to the Olympic Village of Lake Placid, see the Adirondack High Peaks from the yard, and are just minutes away from Whiteface Mountain and miles of recreational trails. With plenty of custom wood work and finishes, this 3 bedroom, 3 bath home is reasonably price which makes it a real value. It has a great office, an awesome 2-car garage and workshop, and parking for four or more cars. For more information on this property please click here or contact me. If you are here looking for information about the Adirondacks and what it is like to live here, thanks for reading and please take a look around. Search the blog for topics of interest; there is a fair amount of information here. This message was brought to you by Joann Sandone Reed, real estate agent and business broker with the Prudential Terry Horrocks Real Estate Agency in Lake Placid, New York. The regulars here at the Adirondack Lifestyle Blog will concur with my claim that I don't do the commercial thing very often.